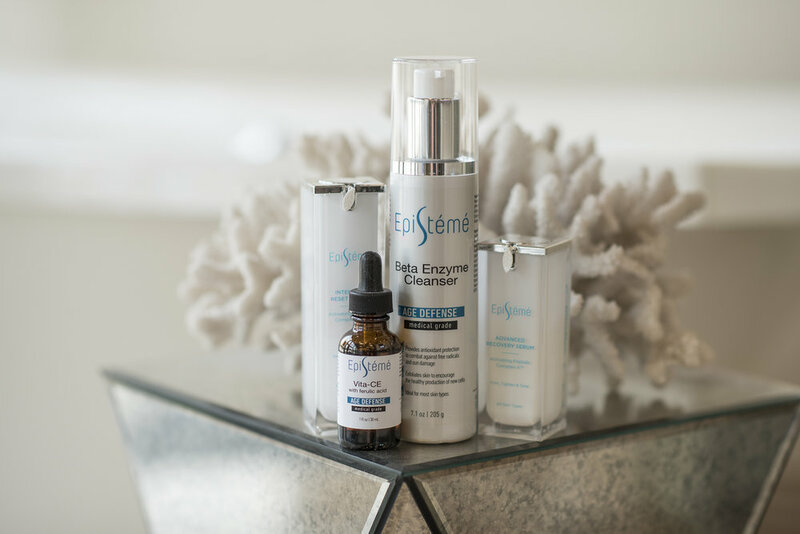 beauty mark is the latest in medical science and stem cell research that has resulted in a revolutionary cellular-signaling compound, our epistémé recovery serum. After years of clinical testing, our proprietary Activating Peptide Complex-4™ anti-aging formula is now available. This world-class skin care breakthrough has triggered unprecedented youthful results. In addition to our incredible skin care, beauty mark has brought you the original lightwave mask, a lightweight red light therapy mask with transparent shield to be able to treat your skin while you are on the go! So, tell it to me in Layman's terms! Sure! With Activating Peptide Complex-4™, we have taken 4 major peptides and encapsulated them into liposomes to deliver a potent growth factor complex directly to your skin. Yeah, it's kind of awesome. And, with a 30-day money back guarantee, what do you have to lose? Want more information?? ASK OUR DOCTORS!! The latest in medical science and stem cell research have resulted in a revolutionary cellular-signaling compound. After years of clinical testing our proprietary Activating Peptide Complex-4™ anti-aging formula is now available. This world-class skin care breakthrough has triggered unprecedented youthful results. Why Activating Peptide Complex-4™ ? The smallest unit of life is the single cell. As we age, the memory in our cells runs down. New cell creation slows and the original youth-protecting cell function degenerates. The result? Fine lines, wrinkles, age spots and sagging skin. Now our patent-protected Activating Peptide Complex-4™ molecular messengers with encapsulated ingredients trigger skin cells to act biologically young. Never before and in no other product will you find nourishing cell-signaling molecules in this combination and concentration to reverse the signs of aging and deliver a more youthful appearance. Activating Peptide Complex-4™ is clinically proven to rejuvenate and nourish skin at the cellular level. Time to learn about the latest in skin care technology...The LIGHTWAVE MASK. Are you ready to be ENLIGHTENED? Pretty crazy futuristic, huh? Yeah...we like to stay ahead of the game!